Click the orange button to the left. You will be taken to the AIM Marketing Portal website. On the next page, fill in your information and click "Continue"
After creating your account, you may need to wait for administrator approval. You must activate your account to complete registration. You will be sent an email. If you do not see the email, Please check your junk mail/ spam folder. 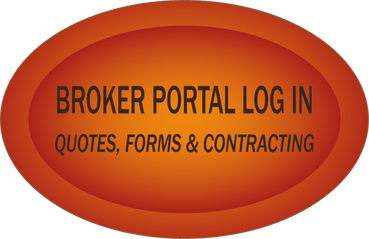 Q: What is the Broker Portal? A: The Broker Portal is a collection of information and tools to assist our brokers in their success. Q: Who can use the portal? A: The AIM Marketing Broker Portal is for licensed AIM Brokers. If you would like to join our team, please contact us. Q: I click on the log in button and nothing happens. What do I do? Q: I didn't get the Activation Email. How do I get another one? A: First, check your spam or junk mail folder in your email. You can also search for "noreply@portal.aimmkt.com." If you are still having trouble, please contact an administrator. Copyright © 2015 AIM Marketing & Insurance Services, Inc.